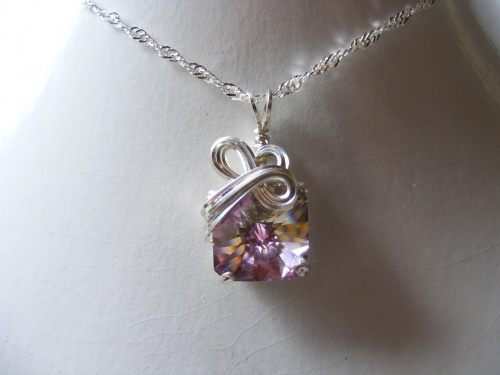 This piece of vintage swarovski crystal is smaller than the others on this page for those of you who dont like large pieces yet still makes quite an impressive statement. It is light rose in color and has hues of several other colors popping through it. Circa 1950.